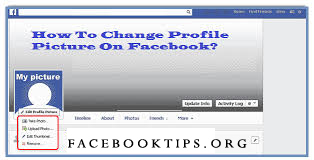 On your profile page, click Upload a Photo or the profile photo icon, this brings up a dialog box. Depending on your device, this may say something slightly different, all you have to do is to choose a file from your device. This opens a navigation interface. Select your desired photo and click Select or OK. I hope this article was very helpful to add profile pics for Facebook? Please tell your friends about this by tapping the share button below.